Sri Thooppulmaal Sathsampradaya Sabha is a Public Religious Trust registered in Panruti, Tamil Nadu, India. To identify and carryout on an ongoing basis, items of repairs and renovations in the structures of both within and outside the precincts of all Sri Vaishnavite temples especially temples dedicated to Swami Emberumanar and Swami Vedantha Desikan. To identify and carryout on an ongoing basis, items of repairs and renovations in all other structures belonging to all Sri Vaishnavite temples especially temples dedicated to Swami Emberumanar and Swami Vedantha Desikan even if they are located outside the temple premises. To identify and carryout on an ongoing basis, items of repairs and renovations in all the movable properties belonging to all Sri Vaishnavite temples especially temples dedicated to Swami Emberumanar and Swami Vedantha Desikan. To contribute for the performance of day to day poojas as well as conducting of various festivals and rituals in all Sri Vaishnavite temples especially temples dedicated to Swami Emberumanar and Swami Vedantha Desikan. To contribute for payment of salaries and other forms of financial assistance to the Archakas, Paricharakas and other persons employed in all Sri Vaishnavite temples especially temples dedicated to Swami Emberumanar and Swami Vedantha Desikan. To contribute for payment of Sambavanas and honorarium to Vedic, Divya Prabandham and Sastraic Scholars who may participate in the various festivals and rituals conducted in all Sri Vaishnavite temples especially temples dedicated to Swami Emberumanar and Swami Vedantha Desikan and other religious congregations. To contribute for Thadhiyaradhana and poor feeding on important occasions conducted in all Sri Vaishnavite temples especially temples dedicated to Swami Emberumanar and Swami Vedantha Desikan. To construct and maintain houses, pilgrim shelters and other structures for accommodating Archakas, Paracharakas and other pilgrims visiting Sri Vaishnavite temples especially temples dedicated to Swami Emberumanar and Swami Vedantha Desikan. To construct and maintain separate shrines for other Deities like Chakrathazhwar, Andal, Ramar, Anjaneyar and so on within the precincts of Sri Vaishnavite temples especially temples dedicated to Swami Emberumanar and Swami Vedantha Desikan and provide for performance of poojas and festivals for such deities. To construct additional structures by way of Mandapams in Sri Vaishnavite temples especially temples dedicated to Swami Emberumanar and Swami Vedantha Desikan. 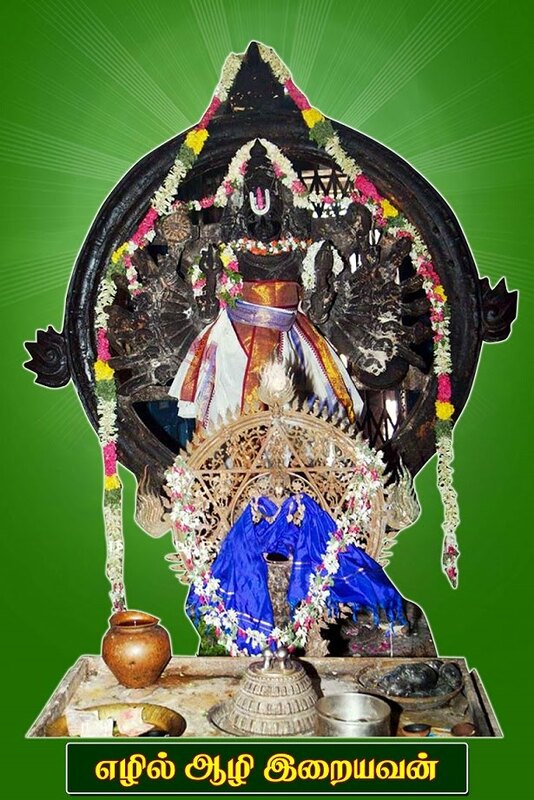 To contribute and provide for installation of appropriate security alarms and devices inside in all Sri Vaishnavite temples especially temples dedicated to Swami Emberumanar and Swami Vedantha Desikan to ensure safety and security of all the deities, belongings, archakas, paricharakas and other persons employed in the temple. To contribute financial assistance to all Sri Vaishnavite temples especially temples dedicated to Swami Emberumanar and Swami Vedantha Desikan Temples and shrines in indigent conditions anywhere in India. To carryout and implement all such acts, deeds and things which are incidental and ancillary for carrying out any or all of the aforesaid main objects of the Trust.